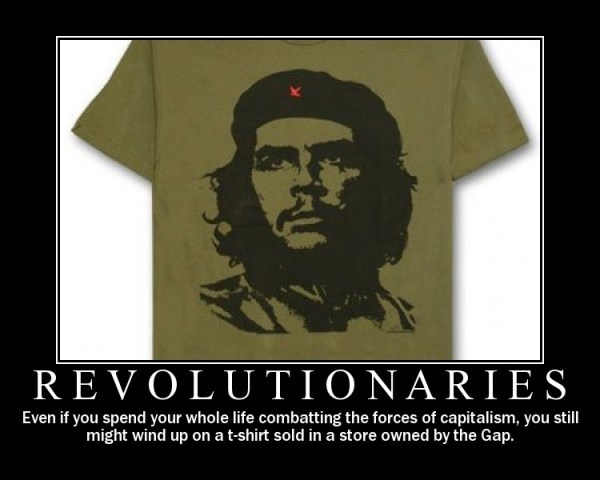 That’s the question the left is asking after Guevara was resurrected by a leftist political action committee, Marxists for Equality, Socialism, and Stalinism. MESS activists arrived in Santa Clara earlier this week and summoned Guevara’s spirit back from the dead using dark, demonic rituals, which are well-known to many Democrats. MESS then hastily photoshopped a birth certificate for Zombie Guevara so he would be eligible to run for president of the United States. Democrats pointed out that while Guevara was a mass murderer, he really needs to specifically come out as allowing murder up to and including the moment of birth if he’s going to be accepted as a mainstream Democratic candidate. They also demonstrated that his brand of totalitarianist terror was a fine starting point, but he needs to show his willingness to silence anyone who even seems to slightly disagree with the left if he’s going to get any traction. “Let us consider the actual, worldly Jew — not the Sabbath Jew, as Bauer does, but the everyday Jew. Let us not look for the secret of the Jew in his religion, but let us look for the secret of his religion in the real Jew. What is the secular basis of Judaism? Practical need, self-interest. What is the worldly religion of the Jew? Huckstering. What is his worldly God? Money. Very well then! Emancipation from huckstering and money, consequently from practical, real Jewry, would be the self-emancipation of our time…. We recognize in Jewry, therefore, a general present-time-oriented anti-social element, an element which through historical development — to which in this harmful respect the Jews have zealously contributed — has been brought to its present high level, at which it must necessarily dissolve itself. In the final analysis, the emancipation of the Jews is the emancipation of mankind from Jewry”. Something I’ve never understood: Why so many of the exact kind of “jew” Marx was talking about, ethnic/cultural, not particularly observant/assimilationist, embraced Marxism. Like Leftist Protestants and Catholics, Leftist Jews have adopted Leftism as a substitute religion. Marx has few fans among Orthodox Jews. Yes, but it’s a substitute religion where they (leftist Jews) are volunteering to play the scapegoat. I dunno. Maybe it’s some weird reverse psychology thing, like white liberals hating on other white people to prove their not racist. Or rich people demanding higher taxes to show their down with the struggle. Except that latter example is sheer flim-flam and hypocrisy because Warren Buffet et. al know darn well that we tax income and not wealth, so they only pay as much as they want to pay. ” The foundation of irreligious criticism is: Man makes religion, religion does not make man. Religion is, indeed, the self-consciousness and self-esteem of man who has either not yet won through to himself, or has already lost himself again. But man is no abstract being squatting outside the world. Man is the world of man – state, society. This state and this society produce religion, which is an inverted consciousness of the world, because they are an inverted world. Religion is the general theory of this world, its encyclopaedic compendium, its logic in popular form, its spiritual point d’honneur, its enthusiasm, its moral sanction, its solemn complement, and its universal basis of consolation and justification. It is the fantastic realization of the human essence since the human essence has not acquired any true reality. The struggle against religion is, therefore, indirectly the struggle against that world whose spiritual aroma is religion. This is both the reason Communism is rejected and accepted by certain groups. Orthodox Jews and tradition Catholics/Christians have God as their center so reject a manifesto that subjugates God to the background or eradicates Him. Those that espouse communism do not believed in organized religion and think they are the principle movers in all that happens in this world. Man is the state and the state becomes God. When the pope at the time read the document, he tossed it aside and declared it an evil document. True, but we have similar bashing of Christians by the Left that seems to bother few Leftist Christians. The simple truth is that when you put Leftist in front of a noun, you can largely ignore the following noun. If the question was posed to a Catholic Democrat that he had to choose between being or Democrat or being a Catholic which designation would he choose? Of course, he would choose Democrat because he sees no difference between the two.